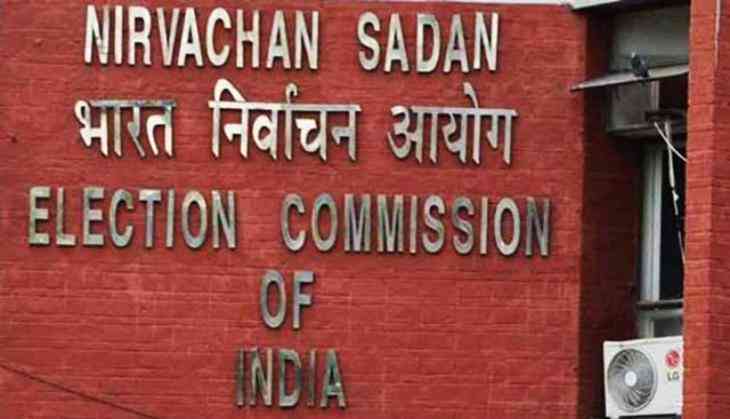 The Election Commission on Tuesday issued a notification to file nominations for the upcoming Vice-Presidential election slated to held on August 6. Secretary General of Rajya Sabha, Shumsher K. Sheriff is the returning officer for the elections, while Additional Secretary of Rajya Sabha, Mukul Pande and Joint Secretary of Rajya Sabha, Rohtas are appointed as the assistant returning officers of elections. Sheriff has by a public notice, notified today that nomination papers may be delivered by a candidate or any one of his proposers or seconders to the undersigned at his office or if he is unavoidably absent, to the assistant returning officers. He further notified that each nomination paper shall be accompanied by a certified copy of the entry relating to the candidate in the electoral roll for the Parliamentary constituency in which the candidate is registered as an elector. In the notification, he further stated that every candidate shall deposit or cause to be deposited a sum of rupees fifteen thousand only. This amount may be deposited in cash with the returning officer at the time of presentation of the nomination paper or deposited earlier in the Reserve Bank of India or in a Government Treasury and in the latter case a receipt showing that the said deposit of the sum has been so made is required to be enclosed with the nomination paper. The nomination papers, other than those rejected under sub-section (4) of section 5B of the Act will be taken up for scrutiny on July 19. He further notified that the notice of withdrawal of candidatures may be delivered by a candidate, or any one of his proposers or seconders who has been authorized in this behalf in writing by the candidate.